The 2018 European Feeder Challenge saw twenty eight (28) teams of five battle it out over two days on the formiddable Ostellato Canal in Italy. The event is fished to International rules with overall placings being determined by way of points based on section finishes, ie one (1) point for a section win right the way through to thirteen (13) points for last in section. England Feeder Team Manager, Tommy Pickering (Maver), entered two teams into this year’s event including a Green team and a Blue team. Fishing for Enland Green were Adam Wakelin, Will Freeman, Jamie Harrison, Eddie Bridon and Gareth Lambert whilst the Blue team was made up of Steve Ringer, Phil Ringer, Mick Vials, Rob Wootton and Lee Kerry. Below, Eddie reflects on the team’s overall approach which resulted in an unrivalled performance with both England teams locking out the top two overall positions to cap a dominant performance on the European feeder stage. The setting for the 2018 European Feeder Challenge – Italy’s Ostellato Canal. “During the team’s initial practice, we found two lines of attack that produced fairly consistently. The team discovered a line near-side of the middle of the canal as well as a long line across to the far bank. I can’t give too much away for obvious reasons as the team are back in Italy in just a few weeks for the World Championships, but our general approach focused around a fishmeal groundbait attack with various particles added to it taking into account the species we were likely to catch“. “Tackle wise, I used Maver’s new MV-R feeder rods in 11′ & 12′ for the short line just shy of the middle of the canal with 0.18mm Stone River mono & 0.12mm Profile 8 braid together with a 0.22mm Carp Feeder mono shock leader. My feeder of choice was a Maver front loaded cage with size 16 and 14 ES42 hooks tied to 0.14mm MV-R hooklength material“. “For my far line, I used my trusted 13′ Diamond Extreme Distance feeder with 0.12mm Profile 8 braid tied to a 0.26mm Carp Feeder shock leader. The hook was a size 14 Katana series 1115 tied to 0.18mm MV-R hooklength mono with a large 50g Maver rocket feeder to achive the accuracy at distance“. “On the opening day of the competition I found myself in D section on peg A3 with the sections being split into two halves (A1 to 13 & B1 to 13), etc“. 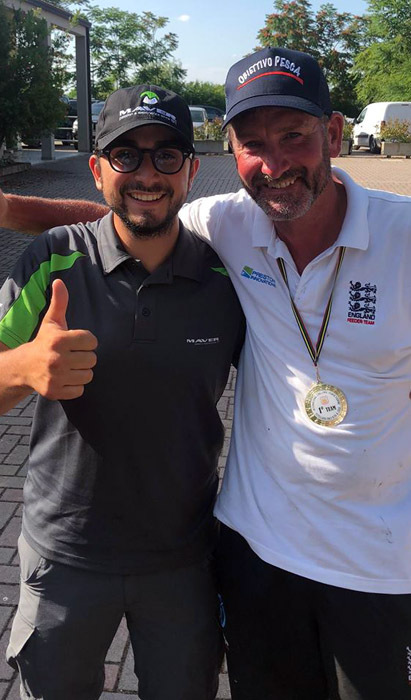 Eddie receives congratulations from Paioli’s Matteo Pirazzini after a dominant performance from the England feeder team. “Come the start of the match I fed my two lines but, with two hours of the match gone, I hadn’t had a bite! At this point in the match, doubt had started to settle in – what on earth was I doing wrong?!?! Everyone to my right had caught at least two or three bream by this point and I was quickly falling behind. Thankfully, my first fish graced the net twenty minutes later in the shape of a wells catfish, which unfortunately for me, didn’t count. Shortly after the rogue catfish, I managed to find a solitary small skimmer which remained the only fish of the day until twenty minutes from the end when I managed to catch a small zander“. “With the first day of the competition over, I was asking some serious questions of myself trying to establish what I’d done wrong. I had fished according to the team plan but I’d failed to catch as expected with anglers either side of me catching bream?!?! My two fish went 350g, which was good enough for 10th in section“. Day 2 – Section D, Peg A3 (again)! “Following what can only be described as a difficult day on the Saturday, I decided to let Tommy draw for me on the Sunday. However, to my dismay, he drew for me the exact same peg! Oh dear! After a few quick words with Tommy, between us we decided to make a couple of changes. Upon the all in I was straight into a small pocket of bream with my opening two casts producing fish of around 2lbs and 4lbs respectively. However, it was short lived with my third cast producing a rogue zander followed by two small skimmers – here we go again“! 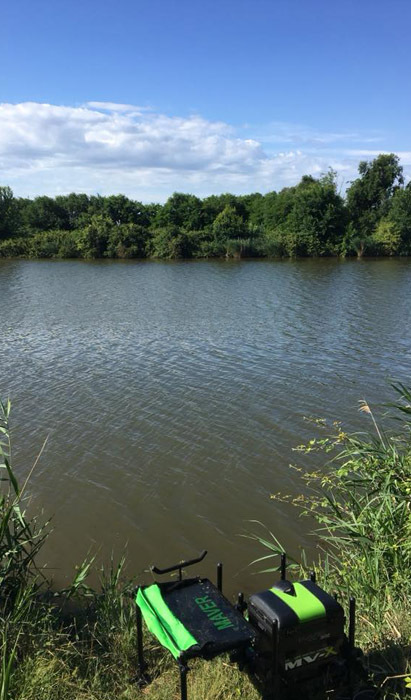 “I then decided to have a look on my second line and found two 4lb fish in as many casts followed by two more across, then two fish coming on the short of middle line. I ended up with six bream in total, plus five skimmers, five zander and a single catfish for 9 kilo, which secured me 2nd in my section. Just goes to show what can happen on the next day from the same peg“! “Shortly after weighing in, Tommy came running down the bank with a big smile on his face! We’d won the event overall by a single point! The team as a whole fished brilliantly over the two days scoring twenty five (25) points on day one and thirteen (13) points on day two giving us a total of thirty eight (38) points to secure the gold“! 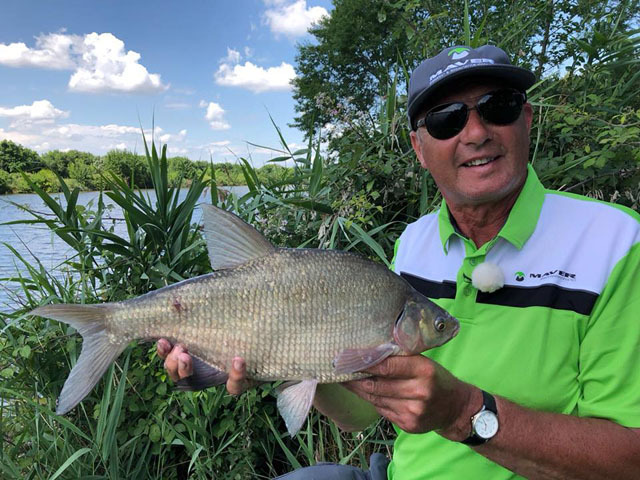 Tommy with a typical Ostellato Canal bream. “What a fantastic few days with the England boys on the team challenge on the fabulous Ostellato canal in Italy. It’s a great competition in it’s own right, but it also serves as an ideal opportunity to have a look at the venue before the World Championship in three weeks time! All the lads were awesome and it was a pleasure to be there with them. I cannot wait until the World Champs next month! Thanks for everyone’s support as it means a lot to the lads“.